Union Square is famous for its rich activist history, successful Business Improvement District (BID) and 24/7 residential-commercial community that is also home to some of the city’s iconic buildings that have reached National Historic Landmark status. 14th Street is considered as a commercial corridor for New Yorkers and key cross-town thoroughfare. Its throbbing commercial energy and world-class people-watching draws visitors across the city and throughout the seasons, and both public and private institutions work tirelessly to ensure that those who come are impressed by what they find. As the current site of one of New York City’s largest subway stations, many storefronts and several dormitories for university students, Union Square has changed dramatically within the past half-century. It is a place to keep up with community happenings, attend public events and participate in political movements, but also a place where people from all walks of life can purchase fresh produce from the farmer’s market, take creative workshops, exercise, listen to live music, feel the spirit of the holidays, or just sit and linger outside on a pleasant day. How has the district changed within the last several decades? How might we prepare its community to gracefully navigate the challenges and opportunities that will guide its fast-approaching future? By building upon previous placemaking research, these questions will enable us to create a forward-thinking plan for the neighborhood. 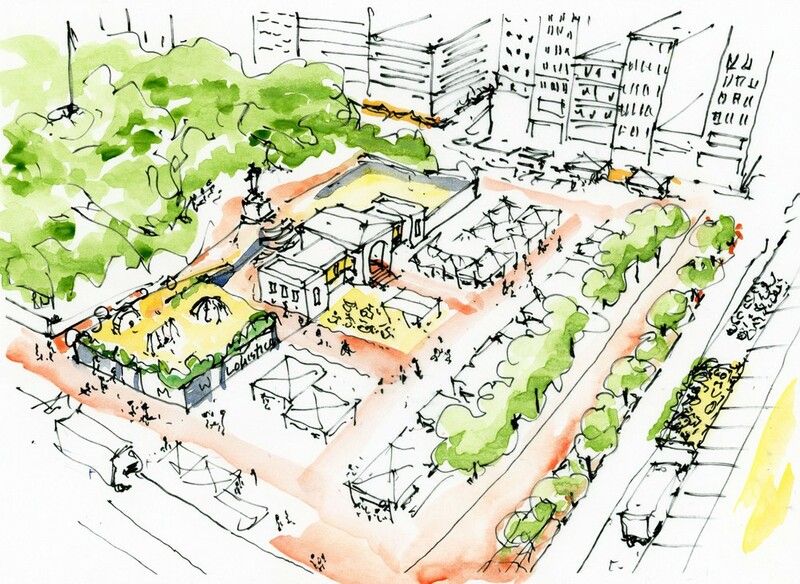 In 2018, Marvel Architects and the Union Square Partnership launched a collaborative Neighborhood Visioning and Planning process to determine “how we can best improve security, mobility, livability, and sustainability within the Union Square – 14th Street district”. We connected with over 650 residents, employees, visitors and passersby and hosted 11 pop-ups, conducted interviews and analyzed physical conditions throughout the area. Now, in January of 2019, we’re hosting a second Community Forum to engage community members in the goal-setting and solution-brainstorming phases of our project. We hope to see you there! The next forum will take place on Monday, January 28th from 5:30 – 7:00pm at Xavier High School Keenan Commons (31 West 15th Street). Click here to register.